This coming Thursday we will be blessed to celebrate Thanksgiving at my parents’ home. We will all make something and take it over. I’m in charge of the stuffing, and the salad, but this year I am making something else, something in honor of my father. 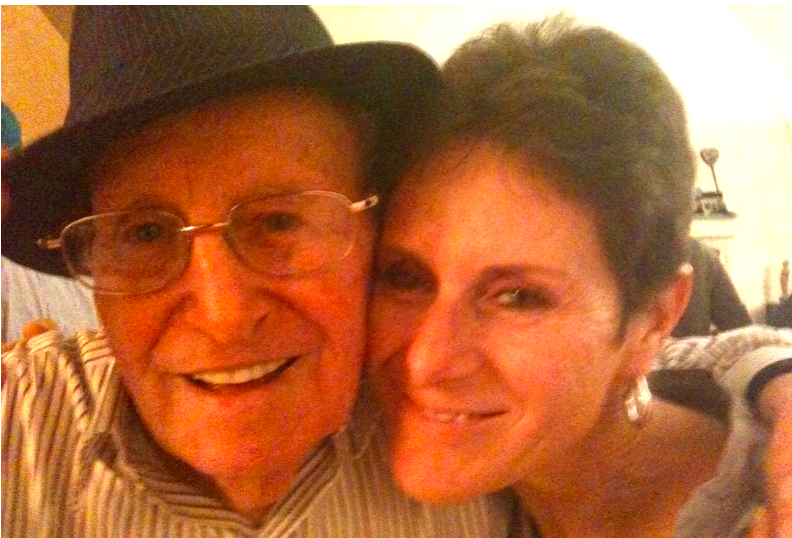 You see, my cute and incredible 93-year-old dad has a huge sweet tooth and as opposed to the rest of us, he loves yams. He also loves spicy food. I thought the combination of the sweet yams, brown sugar and marshmallows would be wonderfully complemented by a little salt and some cayenne pepper. I have never been a big yam fan, but after making this recipe I have been converted. Granted, the recipe is neither Mexican nor Jewish but it is spicy, Kosher, yummy and very Thanksgivingish, so this one’s for you my daddy! Place the yams in a medium saucepan, cover with water and bring to a boil. Allow them to cook until softened, approximately 15 to 20 minutes. Drain the yams and place them in a large bowl. Add the margarine and mash with a potato masher. One at a time add each of the rest of the ingredients, except for the marshmallows. Mix thoroughly after each addition until you have a mashed potato type of consistency. Spoon half of the yam mixture into an 8 X 11 baking dish, and spread it out evenly. 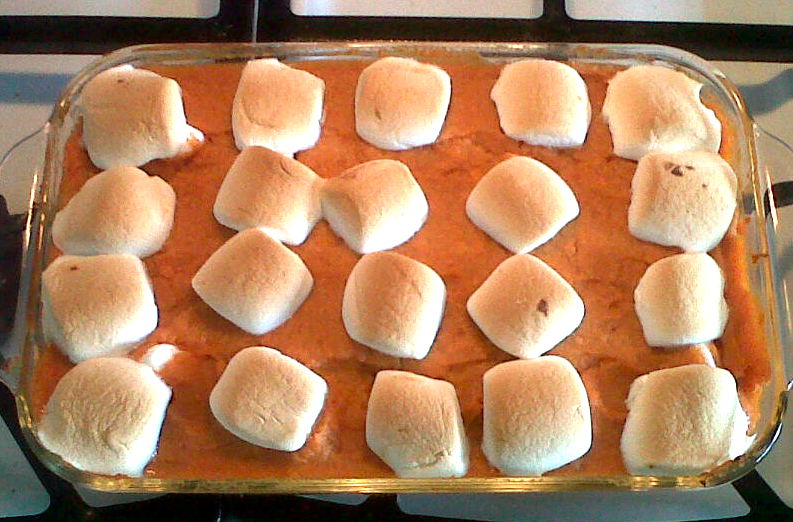 Cut the marshmallows in half and spread half of them evenly over the yam mixture. Repeat the process with another layer of yam mixture and then with a final layer of marshmallows. 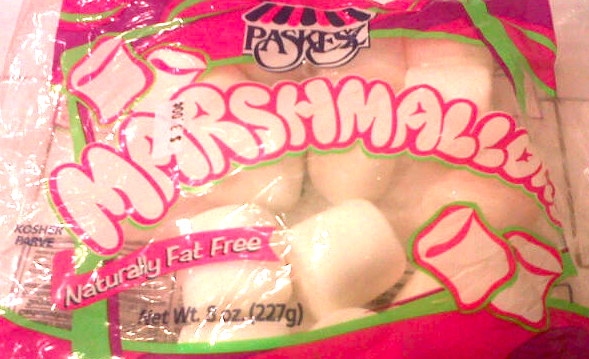 Place in oven and bake for 30 minutes or until the marshmallows turn golden brown. Serve warm. Enjoy and have a happy and sweet Thanksgiving everyone! Polenta Medallions In Spicy Tomato Saffron Sauce.